Marketgoers relax on the lawns outside Carinus Art Centre, the venue for the SupUrban Market during Festival. Local is lekker, and you’re bound to find something particularly lekker at the SupUrban Market happening on the lawns at the Johan Carinus Art Centre on Beaufort Street on Friday 7 and Saturday 8 July, when over 30 Grahamstown-based stallholders will be offering their passionately crafted home-made wares to Festival bargain hunters. 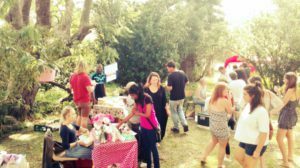 The pop-up market, which normally runs once a month at different locations around Grahamstown, is a space where you can meet local small business owners and creatives and find something you fancy among a wide range of items including clothing, shoes, food, beverages, jewellery, crafts, plants, home décor, toys and upcycled goods. Come along and meet Jemma Gin and her family, who trade in hand-made leather craft such as belts, bags, hats pouches and wristlets, all made from their home. Or chat to Sally Koen about her innovative, electricity-saving hotboxes which are perfect for slow-cooking anything from beefy stews to samp and beans. “I don’t burn anything anymore!” she says. Sally also sells home-made pickles and preserves, and her tomato-chilli chutney is very popular. Tim Cooper and Cass Wilmot build custom furniture for a living, and at the market they have various items on sale including their popular blackwood wooden chopping boards, framed mirrors, lanterns as well as lino-cut prints and hand-painted ceramics. “The idea is to make Fest about Grahamstown’s own creativity. A lot of stallholders at the Village Green are professional stallholders who go from festival to festival. That’s big money stuff. We need to foster small business, support local and make Grahamstown known for its own talent,” says market organiser Philippa Irvine. “Our city has a vast number of people who run small businesses and use their skills to produce local products. 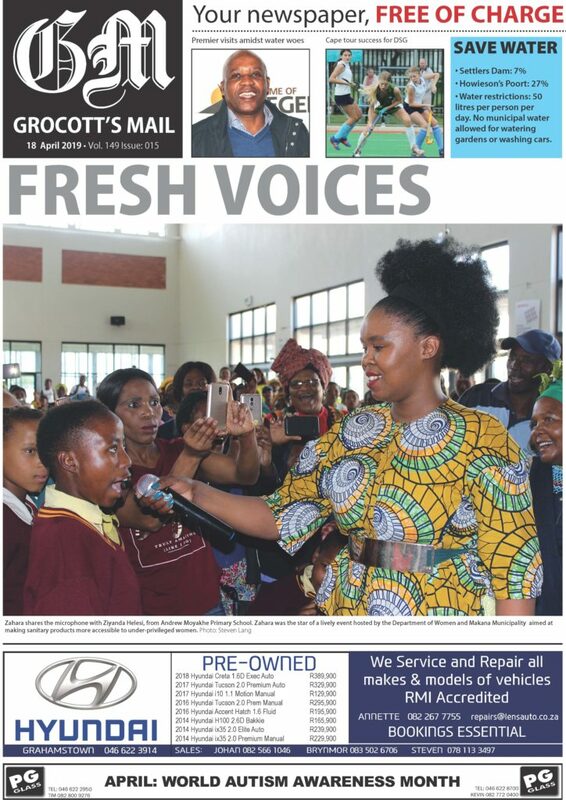 Grahamstown has been branded as the ‘Creative City’, but it lacked a regular and accessible platform for local creatives to to show off their talents and wares. The market was established to provide an opportunity for these small businesses to get exposure in the local community. We will continue to organise a market each month for the rest of the year,” said Irvine. 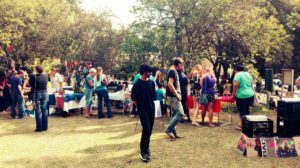 Stallholders book spots on a first-come, first-served basis as numbers are limited, and include a range of people from the community. “We are particularly proud of our student and young entrepreneurs as well as the NGOs that use the market to raise money,” said Irvine. 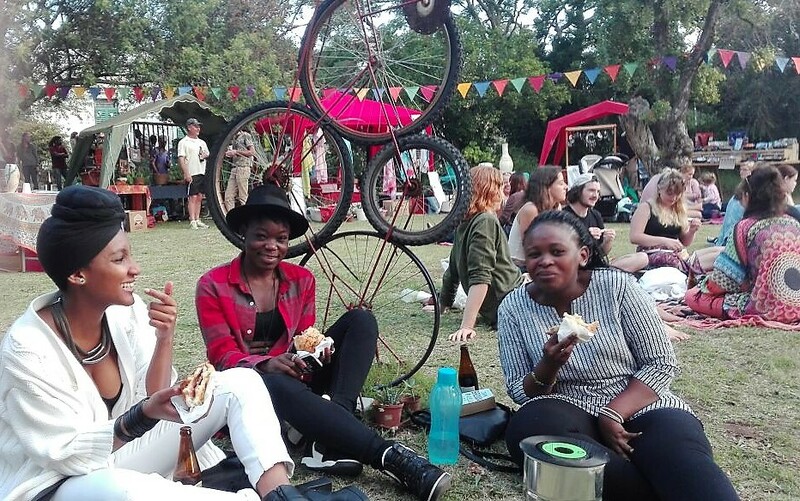 The market shifts from venue to venue each month with the intention of drawing more attention to some of Grahamstown’s beautiful buildings and open spaces. 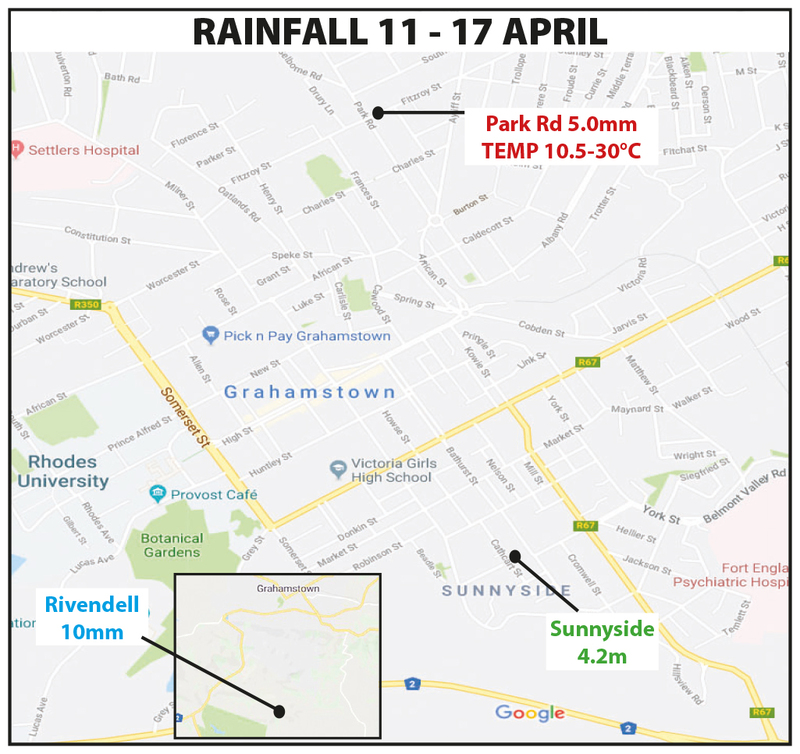 These locations receive the stallholder fees (R50 per stall) as a thank you for making the space available.